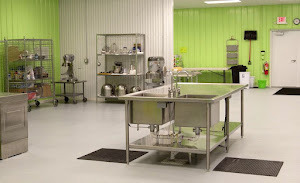 Facility Kitchens: Why Should You Use Our Commercial Rental Kitchen? Why Should You Use Our Commercial Rental Kitchen? One of the hardest things to overcome when starting a food business is taking on the expense of constructing a commercial kitchen. That is why Facility Kitchens has done that for you. We are a fully licensed, fully equipped commercial kitchen for rent by the hour. We taken on these high costs so you do not have to. Our kitchen is available 24/7 for you to produce at your convenience. Contact us today for pricing and a tour of our amazing kitchens!